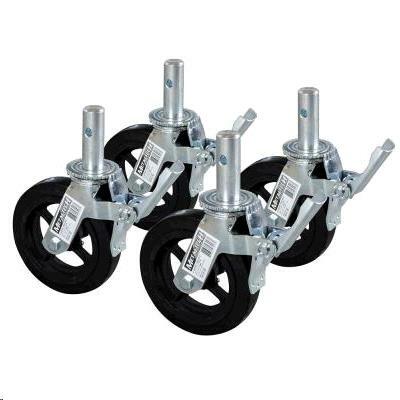 SCAFFOLD CASTORS 8 INCH LOCKING Rentals Ft. Collins CO, Where to Rent SCAFFOLD CASTORS 8 INCH LOCKING in Ft. Collins, Wellington, Greeley, LaPorte, Loveland, Windsor CO and all of Northern Colorado. 8" locking castors for scafolding. 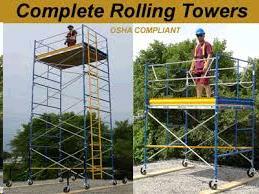 One diagonal brace is required for a rolling tower. STACK PIN O.D. 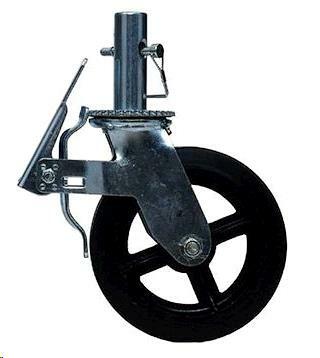 1 5/16"
* Please call us for any questions on our scaffold castors 8 inch locking rentals in Fort Collins, Wellington, Greeley, LaPorte, Loveland, Windsor CO and all of Northern Colorado.